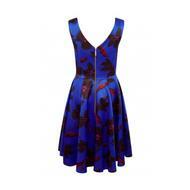 This is a classic Closet London occasion wear dress. The cut of the full skirt and plunging V-neck and back creates a luxurious feel. 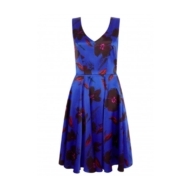 The royal blue and floral pattern are quite elegant together and the best part is that it comes with pockets!